Candide Thovex is considered by many to be the best professional freeskier in the world. His self produced ski video, "One of Those Days 2", has more than 16 million views on YouTube. 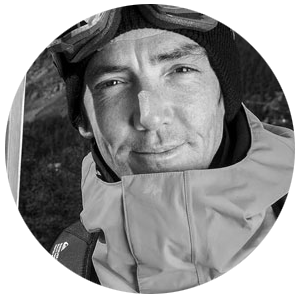 He has been named Powder Magazine's "Rider of the Year", won three Winter X-Games gold medals, and created a number of other award winning freestyle ski films. As of today, thanks to an experience developed using the latest digital imaging technology, Google in association with Candide Thovex and 5 other top athletes will enable users worldwide to embark on a virtual climb to the very summit of Europe to discover the mountain’s legendary sites, history, and the threats it now faces. On January 21 at 1am PT (10 am in Paris), Google Maps will release Street View Imagery of the Mont Blanc, the highest mountain peak in Europe and the surrounding mountain range, the Mont Blanc Massif. The imagery and videos document six world-renowned athletes engaged in the sports they're famed for in different areas of the massif. People will be able to navigate around the 360-degree panoramic images to see athletes skiing, climbing and mountaineering in one of the world's most breathtaking sites. We'll invite everyone to discover the iconic locations, the best panoramas, and even to climb up to the summit via the well-known Gouter route.